I hope I'm not the only one who enjoys these type of posts because I've been meaning to do this for a while. Firstly my wardrobe is a standard 2 meters by 2 meters from Ikea. I love how the PAX system is totally customisable and everything fits in perfectly. My clothes are a huge part of my blog and I thought I would show you more than the door (which has featured in loads of my outfit posts). It also had a huge mirror which is essential for getting ready. I don't have any clothes drawers in my room so everything is either folded on shelves or hung up on rails. I also have cute wicker baskets for the lose accessories, swimwear, hats and gloves etc. I'm not sure if everyone keeps their wardrobe this tidy but mine is always this neat. 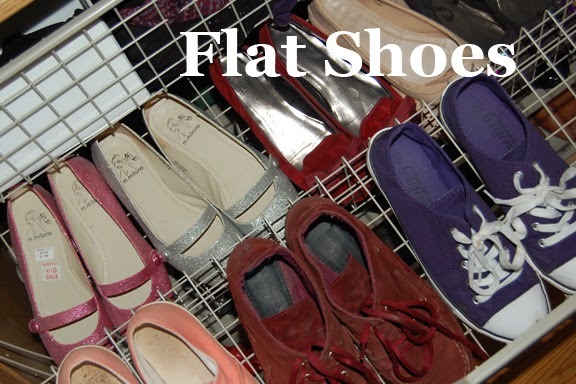 Oooh shoes... I have a fair few pairs though not as many as some people. Loads of these have never featured in outfit posts because I tend to wear the same pairs all the time. I bought this basket for them recently because I was running out of space. 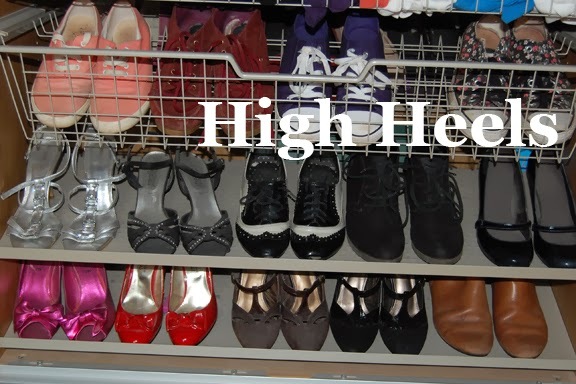 They are great because you can store twice the number of pairs than the trays but sadly I can't keep heels in them. The normal baskets are also something I love- they are perfect for jumpers which won't stack neatly. 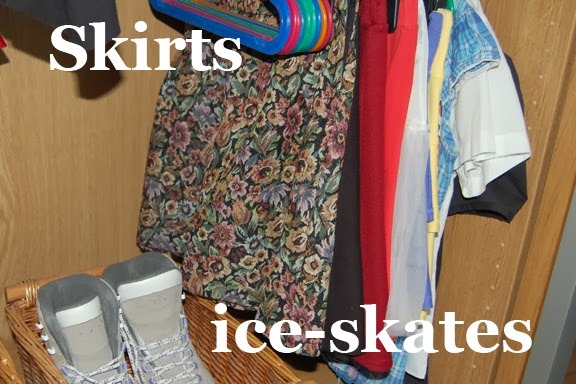 There is other things in there too like tights, leggings and cardigans. I have a divider on my hanging rail which can't be seen so well but it means I can hang skirts under my coats which is handy for creating more space. Boots are kept in baskets under my handing clothes- along with ice-skates which I've sadly not used in years and year. 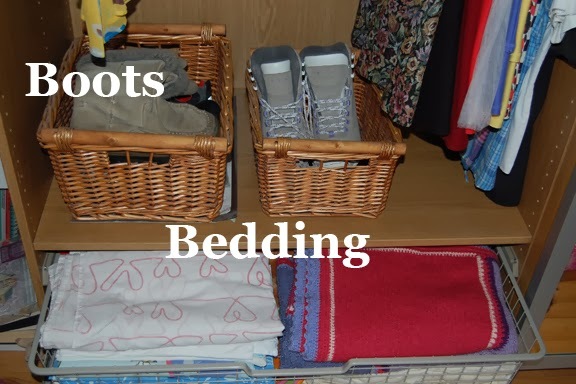 I have another basket drawer which contains will my bedding and blankets. I have lots of pattern and colours in my wardrobe- I really like these photos. Is it just me? These are my skirts with the one I wore in my recent outfit post at the front. I never have as many as I would like. I really fancy some knee length circle skirts next... We will see. I really hope you've enjoyed this type of post- please let me know below. If you have blogged about something similar please leave me links below and I will have a look. 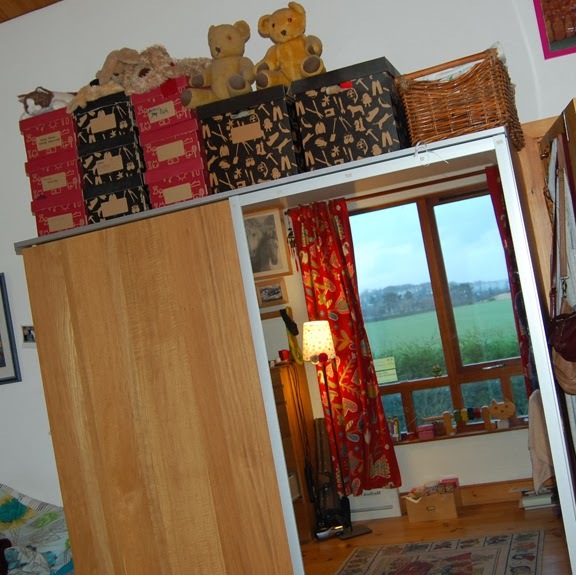 I am planning a tour of my room once I have found a bedside table to upcycle- I'm keeping my eyes on gumtree. Would you enjoy something like that? Also I am so close to 200 followers on Bloglovin' so please give me a hand! Beyond jealous of how neat and tidy you manage to keep everything. I strive for perfection when it comes to how my clothes are stored but then I can't find a top I really want to wear and mess it all up. It's too much effort for me! 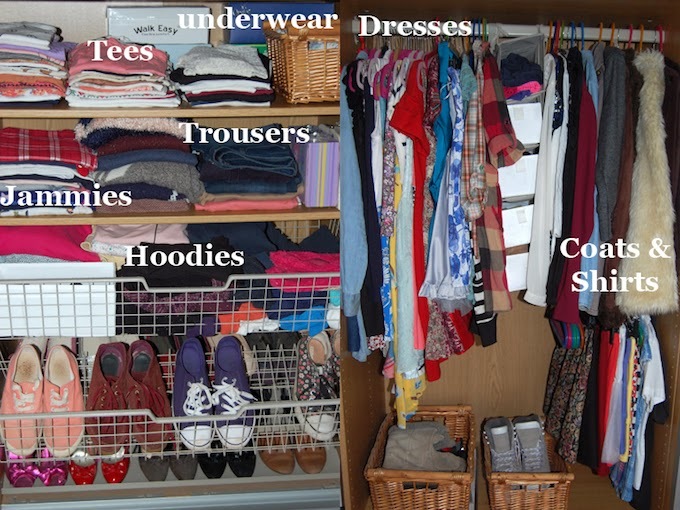 I love how neat your wardrobe is! 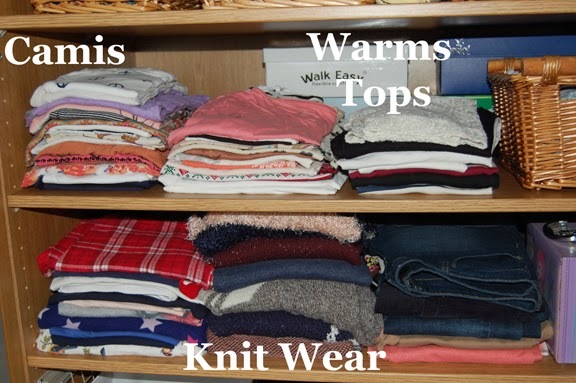 I'm a bit like this myself all my clothes go up in stages for example shorts to jeans and strappy tops to long sleeved tops! I love being organised haha! 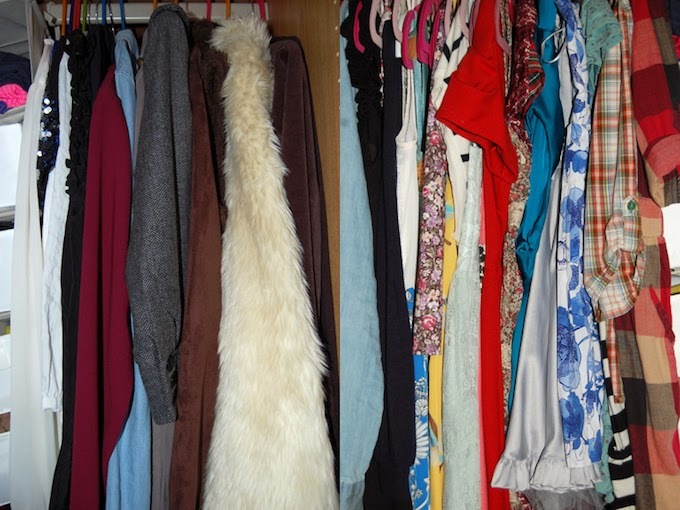 Your wardrobe is so neat and tidy - it definitely puts my wardrobe to shame! And I know it's off topic but the view from your window is lovely! I would LOVE to keep my wardrobe this neat. It's way too full of junk that really needs to get cleared out. You've inspired me though - I want to acquire a bunch of baskets and get mine looking this good! 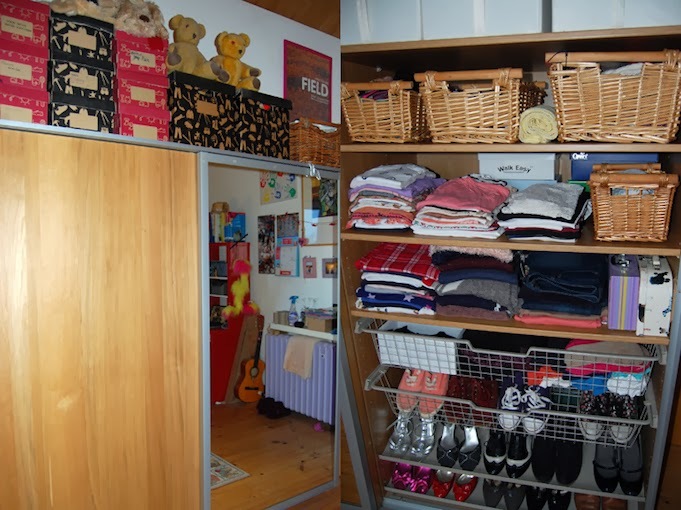 So jealous of your wardrobe space!